2014 a year in video: A retrosective look back at concerts, festivals, events and 'musical happenings' arranged & encountered by us in the space of 12 months on the road. Below is a selection of around 30% of the videos recorded by us over that period. Many more videos produced during 2014 (and before) can be seen on our YouTube channel, please select the YouTube link at the top of the page to visit our channel. We have applied to the Arts Council of Ireland for a 10 date, all-Ireland tour for BALKAN ALIEN SOUND in the latter half of 2015, we will of course let you know if our tour funding application is successful and the dates/whereabouts for each planned concert. 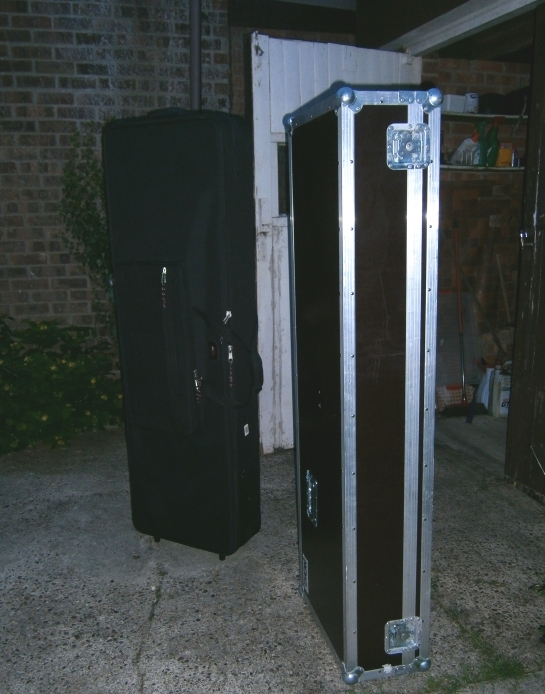 2 X KEYBOARD FLIGHT CASES FOR SALE OR SWAP, Suitable for full size (88 Key Electric piano/synth) I really needed cases for our 63 key synths. Please click here to view them.